For some reason every time we travel to Europe we see things that make us feel like they are so ahead of the United States in terms of technology lifestyle. 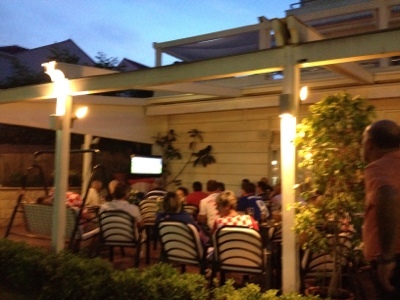 First it was the cell phone, then it was Wi Fi availability and now it’s flat panel TV sets being displayed outdoors at every bar, cafe or restaurant. We all know that Europe has shown us the way in outdoor dining. Now they have all made provisions to entertain their patrons with big TV events. They actually have brackets on restaurant walls so they can display and remove TV flat panels in a matter of minutes. 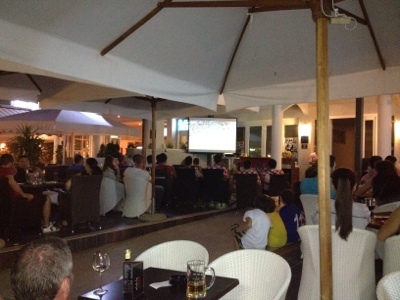 Last night Croatia played Ireland in a soccer match for the EuroCup 2012. We were warned ahead of time that Dubrovnik was going to be very festive and very loud. 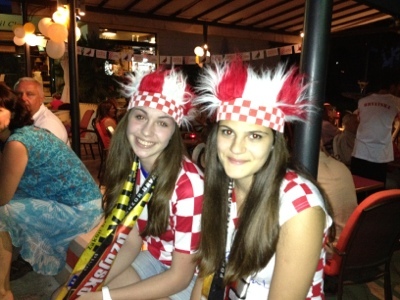 Croatia beat Ireland 3 to 1 so Dubrovnik was one happy town. The restaurants were filled with people singing, drinking and setting off fireworks. 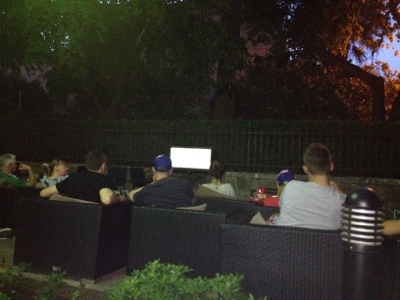 Everyone was focused on the game. 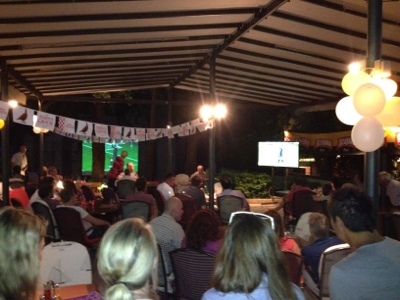 I have attached photos from some of the bars and restaurants so you can see how people gather together to watch TV events outdoors. 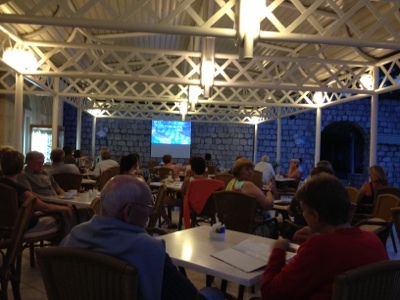 This entry was posted in digital, senior lifestyle, tech and tagged Croatia, Ireland by loiswhitman. Bookmark the permalink.